Today’s entry is by guest blogger, Dr. Parnell Lovelace. During my time in leadership of a local church of 3,500 people, we decided to create and implement tangible outreach objectives that would impact child welfare and health in our community. Disparities in health and disproportionate representation of African American and Hispanic people within the county significantly impacted infant mortality rates. 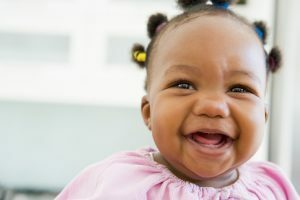 We approached individuals in our congregation with backgrounds in health, education, and social services and formed a steering team that would explore avenues by which the church could collaborate with other community organizations to develop an intervention program that would help lower the rates of infant mortality (children ages birth-1.5 years old) in our county. The church hired staff using the partnership collaborative funding. These staff members reached out to the community through various means of media support and advertisement. Soon, a steady number of clients were contacting the program coordinator. As the program expanded, it became apparent that to fully integrate the values that resonated with the church, it would be necessary to become an autonomous organization that did not receive public funding. Some of those values included prayer and freely sharing the Christian faith. Parnell M. Lovelace, Jr., MSW, D.Min. As the successful founding pastor of 3,000-member Center of Praise Ministries in Sacramento, California, Parnell M. Lovelace, Jr. now serves as an apostolic strategist, merging the church with the social constructs of urban community. He holds a Bachelor of Social Work degree from Oral Roberts University, a Master of Social Work degree from the University of Oklahoma, a Master of Practical Theology degree from Oral Roberts University, and a D.Min. degree from Biola University (Talbot School of Theology). Dr. Lovelace currently serves on the Board of Trustees at William Jessup University and is a certified church consultant with the Society for Church Consulting.